Every Detail. Every Property. Every Time. We don't just care for landscapes. We cultivate individual plants, trees and blades of grass. We clean, edge and maintain walkways foot by foot. And beyond. We care for every minute detail, because that's what matters in the big picture. What Makes BT Carawan the Best Choice in Commercial Landscaping? every aspect of the business and I highly recommend them. the uniformed, professional crew ensures our lawns are picture perfect. I call on them to do, it will be done beyond my expectations every time. From maintaining turf, edging walkways and trimming shrubs, BT Carawan offers the professional landscape services you need. Whether removing debris, clearing snow and ice or cultivating flower beds, we deliver the look your customers will love. As one of only a handful of licensed irrigation contractors in the area, BT Carawan provides comprehensive irrigation installation and maintenance services. BT Carawan works closely with engineers and architects to provide efficient, controlled water management. We even take into account extreme conditions such as flood water runoff. With BT Carawan, you enjoy the benefit of working with one of the region’s most highly respected and proven landscape teams. Our crews are equipped with every piece of equipment needed to do the job. For Us, It's About More Than Landscaping. 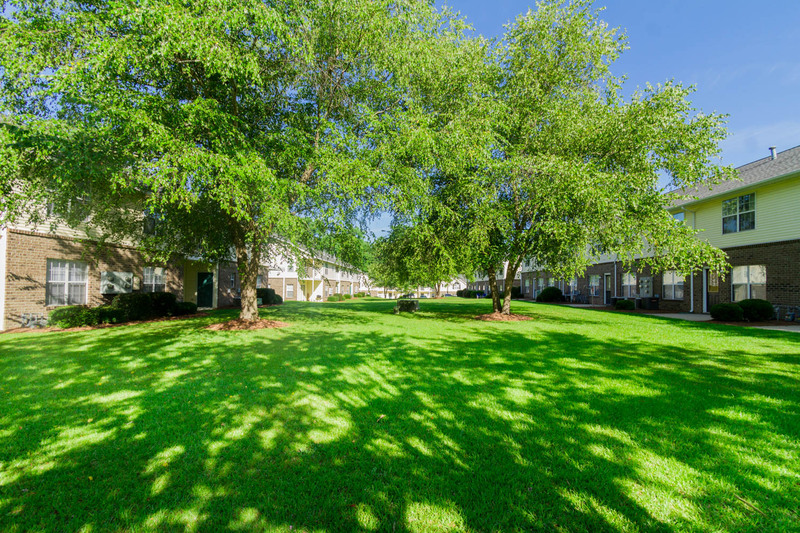 With BT Carawan, you can rest assured your grounds are in the hands of an industry leading landscape maintenance company with proven expertise. We’re proven experts at new landscape construction, revitalization and management. We’re the premier choice for leading corporations when they face difficult landscaping challenges. Our customers include a total spectrum of commercial and retail property owners who trust BT Carawan for nothing less than peak aesthetics, functionality and serviceability. Our promise to you is an answered estimate request within two business days. For emergency services please call: 252-714-1426. From humble beginnings maintaining properties for homebuilders, realtors and residential customers in 2004, BT Carawan is today the premier choice for commercial properties of the highest esteem. We proudly take on even the most demanding commercial and industrial landscaping jobs. ©2018 BT Carawan, Inc. Website designed & developed by Evolve.